As far as Tennessee winters go, this one really takes the cake for being a weather roller coaster. One minute it’s winter, the next: spring. Cold then warm. Sun then snow. I can’t take it. I’m not usually one for beckoning spring early, but this year I am praying that mother nature brings a quick, painless transition into the season of green and doesn’t pull any funny business with, say, an April blizzard. On top of my dreams of eating fresh bruschetta on restaurant patios and blossoming trees making my neighborhood look like a painting, I really just want to have the option to wear lighter layers again. Coats are great, but this girl is tired of the limited range of motion that comes with wearing 2 of them. I just want to be able to bend my arms like a free woman should. Since getting back from Europe, I’ve been feeling the need for a wardrobe overhaul. Ideally, this spring, my style takes a leap towards tomboy and feminine at the same time. Hard and soft is a combination I’ve always been a fan of, but this year I really want to shoot for pairing the dainty clothing with the structured, more masculine pieces I have. Fingers are crossed that I look Parisian and not like my closet and pajama drawer are the same thing. What trends are you looking forward to in the warmer months? 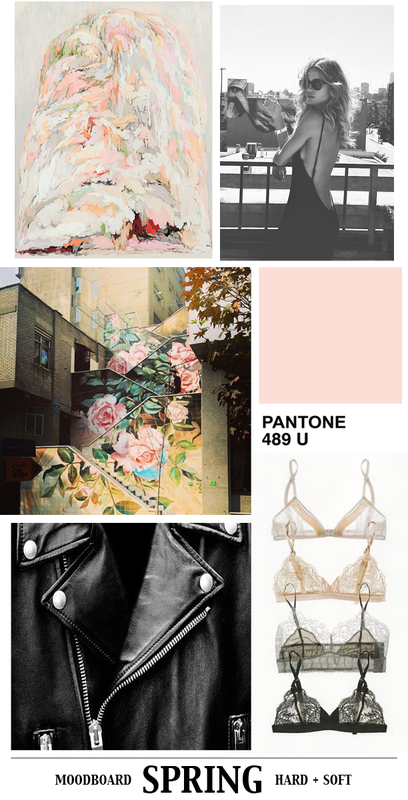 This entry was posted in fashion and tagged 2014, black, cold, color, europe, fashion, favorites, inspiration, lace, leather, luxury, nashville, pink, shoes, spring, style, trend, trends by Lo. Bookmark the permalink.